The decision by ruling Patriotic Front general secretary Davies Mwila to send away journalists from Prime TV is undemocratic and totalitarian, the privately-owned television director Gerald Shawa has said. On Saturday, Mwila told journalists from Prime TV to stay away from his press briefing, claiming they would not give him positive coverage. In a letter to Mwila and copied to information ministry, Independent Broadcasting Authority (IBA), MISA Zambia and the media, Shawa expressed disappointment that the former decided to ignore the complaints procedure if he felt aggrieved with the coverage of the ruling party by Prime TV. Shawa advised Mwila to have raised his concerns with IBA who should have dealt with the matter within 14 days. “The above procedure is a requirement for all those who feel aggrieved on a matter of broadcasting. Unfortunately, you have opted to use a more un procedural way which to us is unfortunate, undemocratic and totalitarian in that it may subject our journalists to unwarranted political attacks especially attacks from the Patriotic Front cadres,” said Shawa. He said the approach Mwila took was not only undemocratic, but a serious indictment on the freedom of the media. “While you have the right not to be covered if you so wish, it is Prime TV’s policy to provide a platform for all political parties without bias. 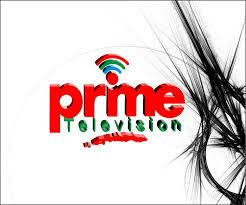 We also wish to bring to your attention that Prime TV is a commercial Television station where all those wishing to have sponsored programs are free to come and have their programs paid for as many times as they can just like your party has done previously on the same platform,” he said. “It is with a heavy heart that we write your office on a matter in which you publicly chased Prime TV journalists from your press conference on Saturday 26th January 2019 and later on, decisively, barred Prime Television from covering all your party functions”. Meanwhile, Information minister, Dora Siliya said the incident where Mwila chased two Prime TV Journalists from a press briefing was a mere misunderstanding. In a statement, Siliya accused some opposition leaders of using the matter for political mileage. “My ministry has made progress in consultations with stakeholders over the Access to Information Bill in readiness for its presentation to Parliament. We are engaging media leaders to form a media counsel that will allow for the media to regulate itself,” said Siliya.